Match ends, Napoli 4, Milan 2. Second Half ends, Napoli 4, Milan 2. Alessio Romagnoli (Milan) is shown the yellow card for hand ball. Goal! Napoli 4, Milan 2. José Callejón (Napoli) left footed shot from very close range to the centre of the goal. Foul by Gianluca Lapadula (Milan). Gianluca Lapadula (Milan) wins a free kick in the defensive half. Substitution, Napoli. Vlad Chiriches replaces Raúl Albiol because of an injury. Second yellow card to M'Baye Niang (Milan) for a bad foul. Foul by M'Baye Niang (Milan). Raúl Albiol (Napoli) is shown the yellow card. Substitution, Milan. Gianluca Lapadula replaces Suso. M'Baye Niang (Milan) wins a free kick on the right wing. Corner, Napoli. Conceded by Riccardo Montolivo. M'Baye Niang (Milan) wins a free kick in the defensive half. Substitution, Milan. Davide Calabria replaces Ignazio Abate. Substitution, Milan. José Sosa replaces Carlos Bacca. Corner, Napoli. Conceded by Gustavo Gómez. Substitution, Napoli. Lorenzo Insigne replaces Dries Mertens. Juraj Kucka (Milan) is shown the red card. Juraj Kucka (Milan) is shown the yellow card for a bad foul. Goal! Napoli 3, Milan 2. José Callejón (Napoli) right footed shot from very close range to the bottom right corner. Attempt saved. Dries Mertens (Napoli) right footed shot from the left side of the box is saved in the bottom right corner. Assisted by Piotr Zielinski. Substitution, Napoli. Piotr Zielinski replaces Allan. Offside, Milan. Juraj Kucka tries a through ball, but Suso is caught offside. Corner, Milan. Conceded by Raúl Albiol. Corner, Milan. Conceded by Faouzi Ghoulam. Attempt blocked. Suso (Milan) right footed shot from the right side of the box is blocked. Assisted by M'Baye Niang. Gustavo Gómez (Milan) is shown the yellow card for a bad foul. Foul by Gustavo Gómez (Milan). Attempt missed. Jorginho (Napoli) right footed shot from outside the box misses to the left following a corner. Corner, Napoli. Conceded by Alessio Romagnoli. Attempt missed. Jorginho (Napoli) right footed shot from outside the box misses to the right following a corner. Corner, Napoli. Conceded by Ignazio Abate. 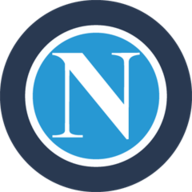 Kalidou Koulibaly (Napoli) is shown the yellow card. Goal! Napoli 2, Milan 2. Suso (Milan) left footed shot from outside the box to the top left corner. Attempt blocked. Giacomo Bonaventura (Milan) right footed shot from outside the box is blocked. Assisted by Ignazio Abate. 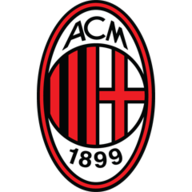 M'Baye Niang (Milan) is shown the yellow card for a bad foul. Goal! Napoli 2, Milan 1. M'Baye Niang (Milan) left footed shot from a difficult angle on the left to the bottom right corner. Assisted by Suso. Attempt missed. Jorginho (Napoli) right footed shot from outside the box misses to the right. Offside, Milan. Riccardo Montolivo tries a through ball, but Carlos Bacca is caught offside. Attempt missed. M'Baye Niang (Milan) left footed shot from the left side of the box is close, but misses to the left. Assisted by Giacomo Bonaventura. Attempt missed. Gustavo Gómez (Milan) header from the centre of the box is close, but misses to the right. Assisted by Giacomo Bonaventura with a cross following a set piece situation. M'Baye Niang (Milan) wins a free kick on the left wing. Second Half begins Napoli 2, Milan 0. First Half ends, Napoli 2, Milan 0. Attempt blocked. Dries Mertens (Napoli) right footed shot from the left side of the box is blocked. Assisted by Jorginho. Dangerous play by M'Baye Niang (Milan). Delay in match Juraj Kucka (Milan) because of an injury. Offside, Milan. Riccardo Montolivo tries a through ball, but Alessio Romagnoli is caught offside. Corner, Milan. Conceded by Elseid Hysaj. Offside, Napoli. Jorginho tries a through ball, but Arkadiusz Milik is caught offside. Attempt missed. Suso (Milan) left footed shot from outside the box is too high. Assisted by Gustavo Gómez. Goal! Napoli 2, Milan 0. Arkadiusz Milik (Napoli) header from the centre of the box to the top right corner. Assisted by José Callejón with a cross following a corner. Attempt blocked. Arkadiusz Milik (Napoli) left footed shot from a difficult angle on the left is blocked. Attempt saved. Dries Mertens (Napoli) right footed shot from the right side of the box is saved in the centre of the goal. Assisted by Elseid Hysaj. Attempt saved. Jorginho (Napoli) right footed shot from outside the box is saved in the top centre of the goal. Assisted by Allan. Attempt blocked. Dries Mertens (Napoli) right footed shot from outside the box is blocked. Assisted by Arkadiusz Milik. Corner, Napoli. Conceded by Gianluigi Donnarumma. Attempt saved. Dries Mertens (Napoli) right footed shot from the left side of the box is saved in the top right corner. Assisted by Faouzi Ghoulam. Attempt blocked. Faouzi Ghoulam (Napoli) right footed shot from the left side of the box is blocked. Assisted by Marek Hamsik. Mattia De Sciglio (Milan) wins a free kick in the defensive half. Attempt missed. M'Baye Niang (Milan) header from the centre of the box is too high. Assisted by Ignazio Abate with a cross. Goal! Napoli 1, Milan 0. Arkadiusz Milik (Napoli) left footed shot from very close range to the centre of the goal. Dries Mertens (Napoli) hits the right post with a right footed shot from the left side of the box. Assisted by Faouzi Ghoulam. Offside, Milan. Alessio Romagnoli tries a through ball, but M'Baye Niang is caught offside. Offside, Milan. M'Baye Niang tries a through ball, but Alessio Romagnoli is caught offside. Attempt missed. M'Baye Niang (Milan) right footed shot from outside the box misses to the left. Assisted by Gustavo Gómez following a corner. Attempt blocked. Suso (Milan) left footed shot from outside the box is blocked. Assisted by M'Baye Niang. Attempt missed. Ignazio Abate (Milan) right footed shot from the centre of the box is too high. Assisted by M'Baye Niang with a cross. Attempt saved. M'Baye Niang (Milan) right footed shot from outside the box is saved in the centre of the goal. Assisted by Giacomo Bonaventura. Corner, Napoli. Conceded by Suso.